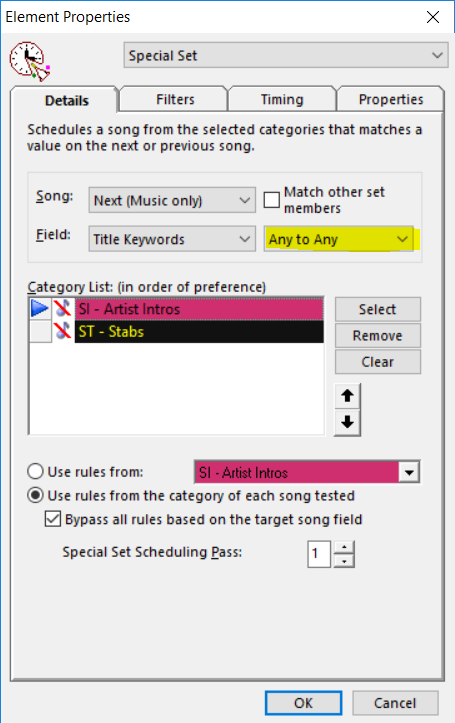 Special Sets in MusicMaster are a great way to do things like twofers, matching up artist liners to songs, etc. As we build our clocks with special sets, sometimes we do things in a hurry and forget the important details section. In the example below, you’ll see the special set is matching up Title Keywords with the setting of All(Exact). It is looking at Next Song (Music Only). In the bottom area we’re using rules from the category “Artist Intros” and Bypassing any rules that might keep Title Keywords apart. 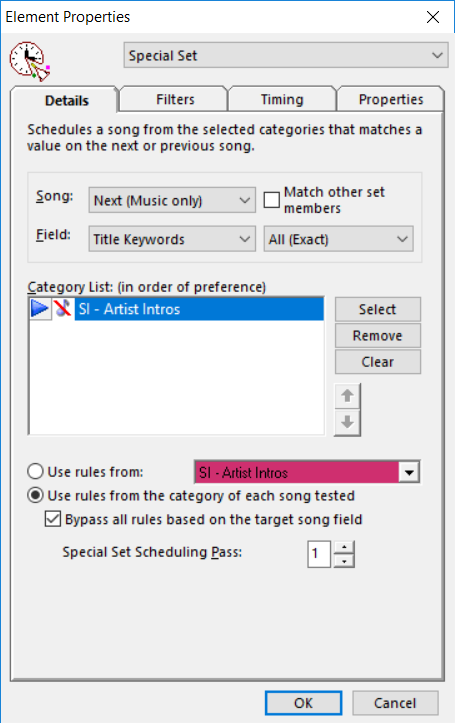 A Special Set in this configuration would need an Exact Match in the Title Keyword Field in both the Non-Music Artist liner category and the Music Category that comes after the Special Set in the clock. It will only work with an Exact Match from Field to Field. The liner is looking at the next song scheduled. The following configuration would work if you didn’t have an artist liner produced yet for a specific song and wanted some kind of Generic liner to schedule automatically. You would put a Generic keyword in the song and liners and add the generic category to the Special Set. Your match configuration could be “1st to Any” or “Any to Any”. 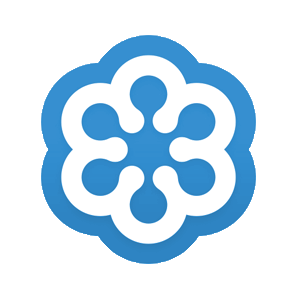 I receive calls on a regular basis when “some” Special Sets are working and “some” are not. It’s all a matter of going directly to the specific clock where the Special Set isn’t working and examining the configuration. If you are careful setting them up, you shouldn’t have issues. A book could be written on this subject alone, but today’s blog is just a reminder for you to be careful when adding your Special Sets. Pay attention to which direction you are looking in (next or previous, song or music only), what Field are you matching and the type of match (Exact, First, Any or All). When done correctly, Special Sets save you massive amounts of TSE (Time Spent Editing). As always, if you have any questions, just give us a call. Happy Scheduling.